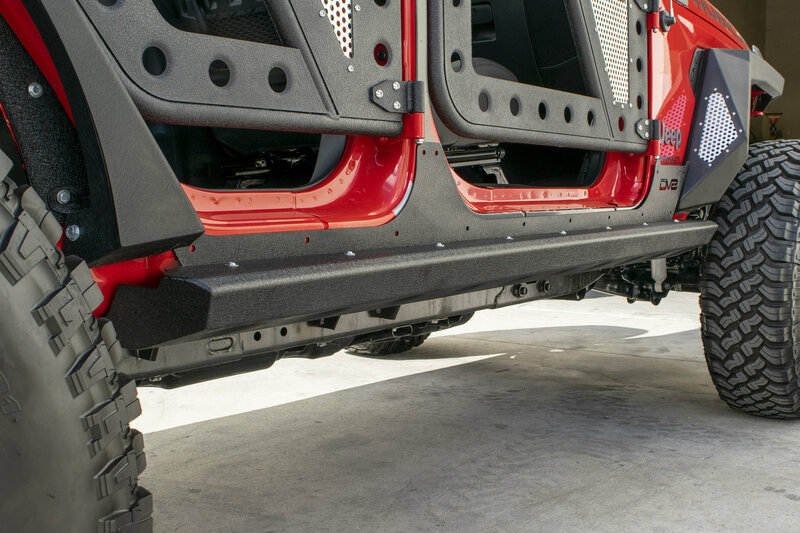 A pair of rocker guards can do wonders in the protection department for your Wrangler JL while on the trails. 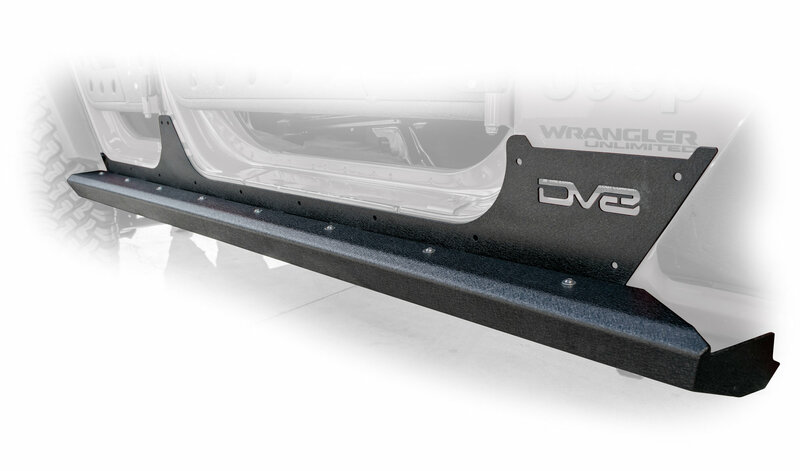 Outfitting your Jeep with a pair of Rocker Guards with Rock Skins give you the protection you need from off-road debris as well as high clearance to help when trans versing over obstacles. Durable Protection:Made from quality steel to take the punishment from rocks and other debris while protecting your JL from dings and scratches. Textured black powder coat to prevent corrosion. More Mounting Points: With more mounting points you will be assured that these rocker guards will not bend and will be securely mounted to the frame and body of your Jeep. Installation: You will need to drill into your Jeep seeing that there are more mounting points then other aftermarket rocker guards.